Lounge Act Wednesday: A Killer, Gremlins & such Pretty Lights! 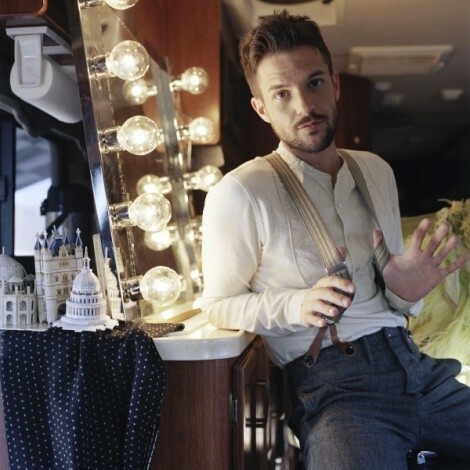 At The Depot, one-time Utahn/Mormon and lead singer of one-time buzz-band The Killers—Brandon Flowers—headlines a solo show in support of his solo debut, Flamingo. I was slow to get into The Killers, and still find them incredibly overrated, but what eventually won me over was the band's live show. And let's face it, that live show's strength came from Flowers, not the glorified sidekicks who round out his band. So I'd expect a fine show for fans of his pop-rock style. Fran Healy, lead singer of Travis, opens the show. Just a hop and a skip away, Colorado native Pretty Lights is spinning tunes at The Complex, while singer/songwriter Sara Bareilles headlines over at In The Venue. If you're not into hearing some tunes this eve, a couple of free flicks are out there. The City Weekly Street Team is hosting a viewing of Gremlins at Brewvies—get there early for a spot, and for god's sake, stick to beer. You know what happens when Gremlins meet water. And the Main Library is hosting a screening of Hellboy at 6 p.m. as part of its "Comic Movies You Should See" series.